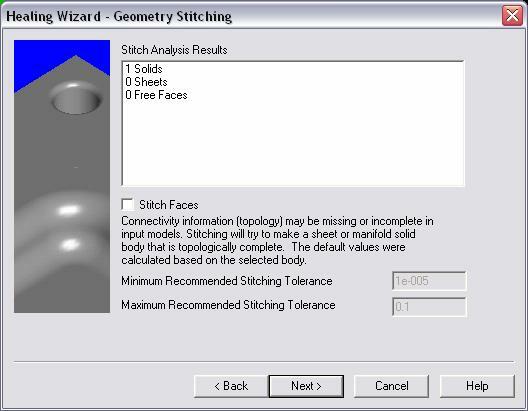 Through this dialog, you are able to specify whether to stitch faces (attempting to make a topologically complete solid or Surface). Recommended minimum and maximum stitching tolerances are displayed. Configure the dialog settings as desired and click NEXT to continue.